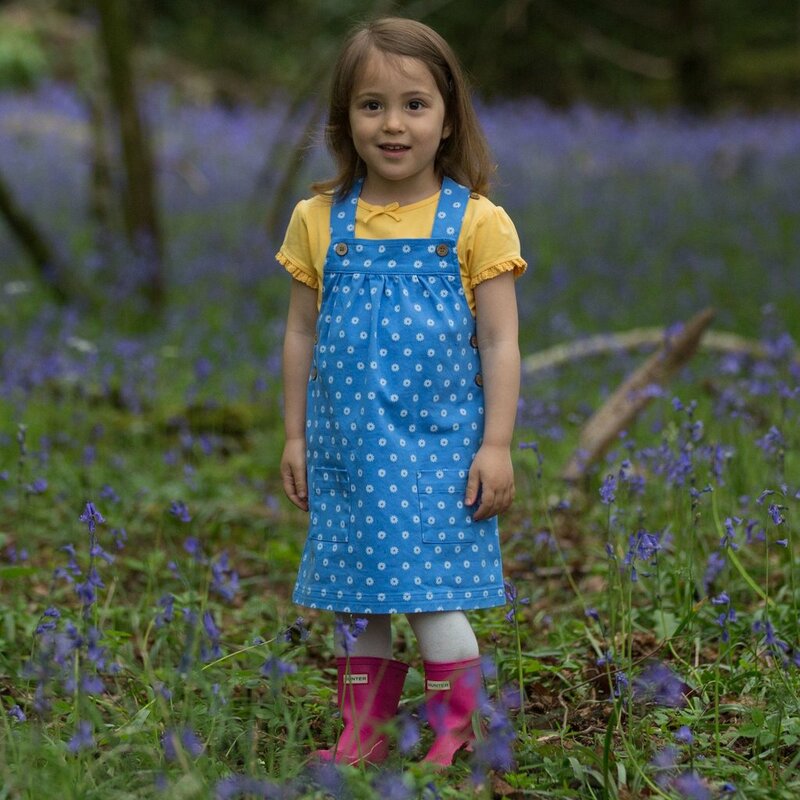 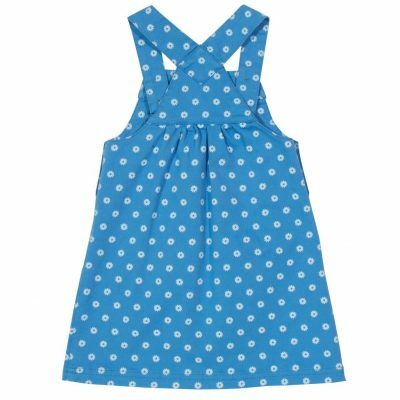 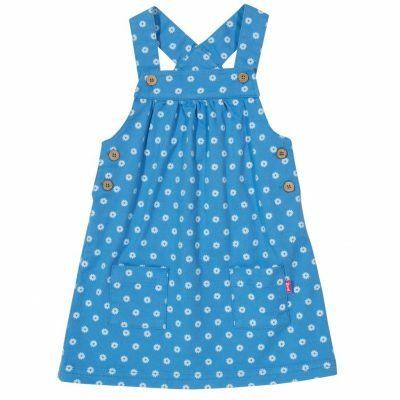 Right on trend, this simple little daisy print pinafore with two front pockets and coconut buttons looks great teamed with a variety of our t-shirts, tights and leggings. Comfy too it’s sure to be a winner. 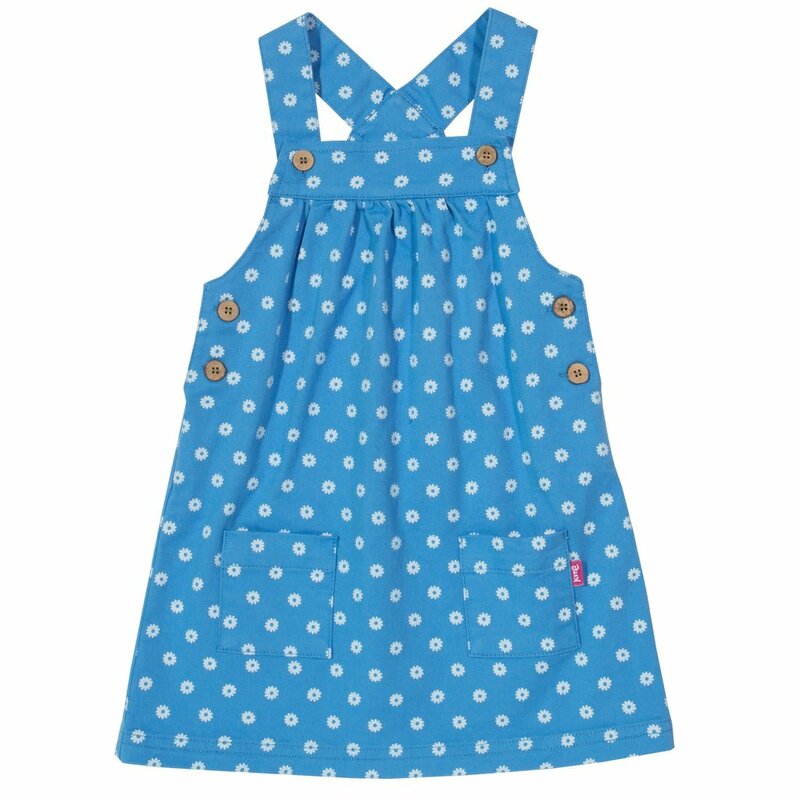 Washed in natural enzymes that come from apples to give a soft hand feel.